Let's face it, people. We humans are social creatures and social interaction is one of the most important things for us. The nighttime scene is the pinnacle of social interactions for a growing number of people, teens and older. Android smartphones and mobile devices are slowly starting to be able to support our nighttime interactions. 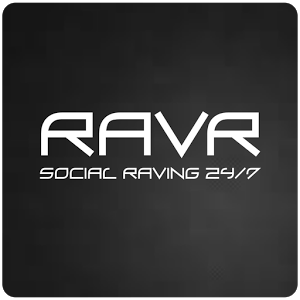 We are introducing Ravr - Social Raving 24/7, a new app that has everything anyone interested and indeed living the nightlife scene needs. This app presents all the information needed to liven up the nighttime raving activities of anyone with any interests, even at daytime. What does this app do? Quite simple, it contains everything we need to know about the nightlife scene in order to be able to enjoy it the best we can. 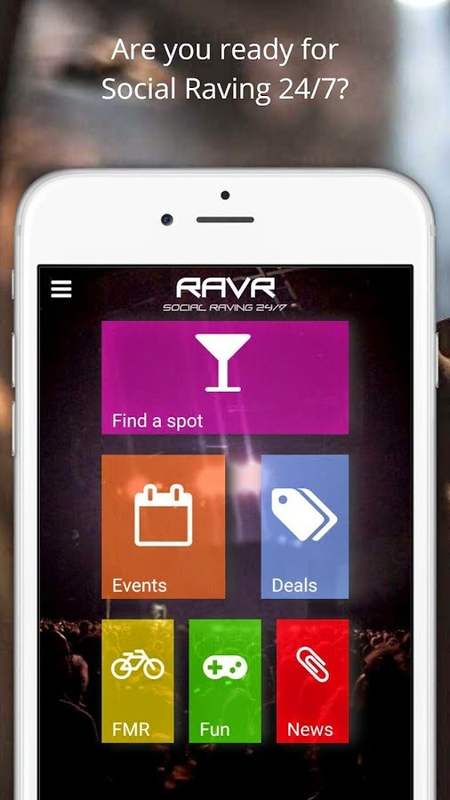 First and foremost, the app presents all the clubs and bar nearest to the user, and allows the user to see them on a map and even navigate to them. But the app has more, much more. 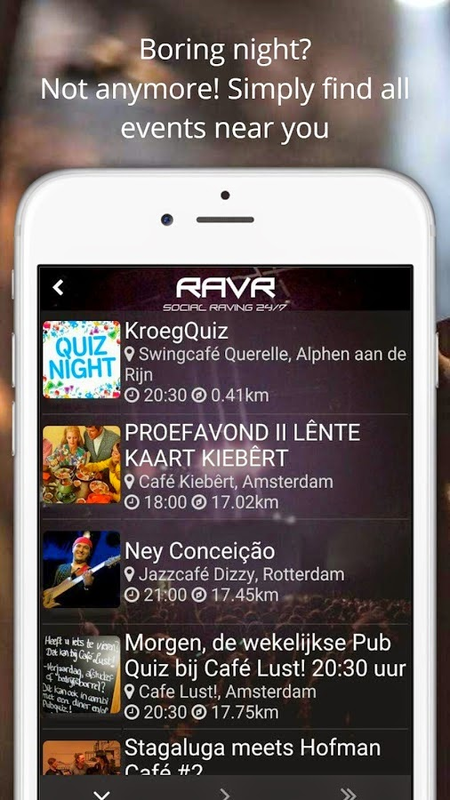 All interesting evens, special parties and performances are also displayed by the app, allowing the user to select the most interesting and appealing activity to him or her, even taking into account things like special discounts and deals that are available ONLY to users of RavR - Social Raving 24/7. But the app does more than merely show information. It also creates a community of like minded individuals who can share reviews, opinions and messages about places and events, to make sure the word about a good bar is spread around but a bad club will be shunned until everything needs fixing is fixed. The app also supports the community by allowing chats and message exchange between nearby users of the app, all to bring people together and let them exchange information and experiences. This app is all about experiences and has everything everyone will ever need to make nightlife and good partying take a mighty step forward.